FREE T-SHIRT WITH PURCHASE OF $500.00 OR MORE. 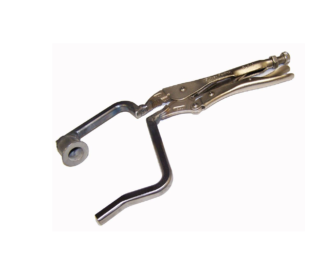 The Bar Style Coupler Handling forklift fixture is used to remove, install, and handle freight car couplers. 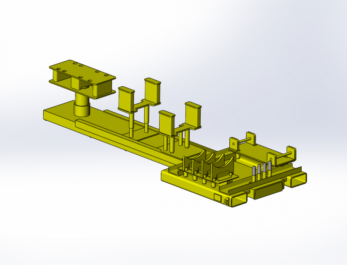 The pin design allows the coupler to be accessed from any position on the ground. The coupler does not have to be upright for handling. 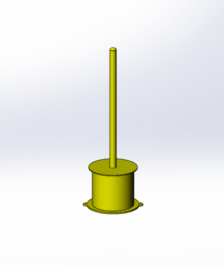 The design also allows the rotation necessary to install and remove 304 style rotary couplers. 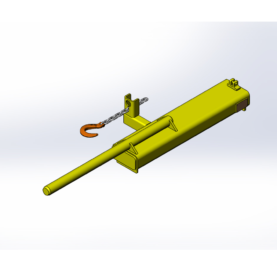 Chains are provided to secure the handling fixture to the forklift, and to secure the coupler to the handling fixture. This platform provides a sturdy work surface for working on the side of locomotives. It has a drop down extension that faces the locomotive. Both legs of the platform have adjustable bases so they can be set the height needed. The dimensions of the platform are 21″ W x 49″ D x 40″ H.
There are many different configurations of this platform with gates, lifting chains, etc. 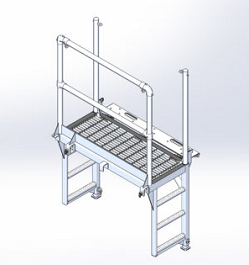 Please contact us at 402-253-2772 for more information on configurations other than the standard side work platform. For storing heavy materials. 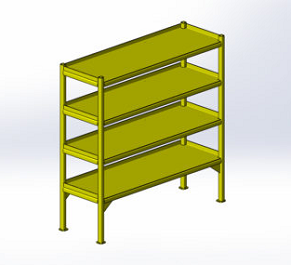 Shelving is 6′ tall x 4′ wide, x 2′ deep. For storing heavy materials. 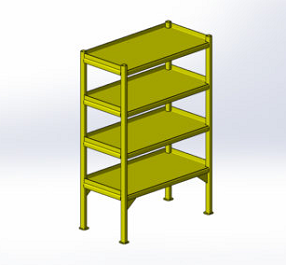 Shelving is 6′ tall x 6′ wide, x 2′ deep. 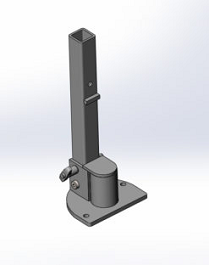 This stand is designed to store all sizes of center plate wear liners. Includes holes in the base for permanent mounting to the floor if required. The stand has a rated capacity of 500 pounds. It has a 15″ diameter base, and the overall height is 48″. This rack can be used to store any combination of the gaskets normally used for locomotive repairs. 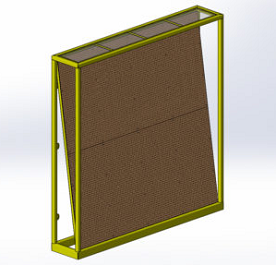 The pegboard design allows the use of custom configurations of hooks or shelving to meet your requirements. 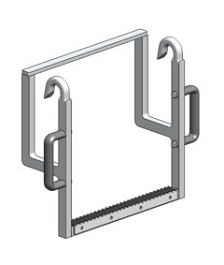 Includes mounting tabs to secure the rack to the wall or floor. The top of the rack is covered with Plexiglas to keep dirt and debris off the gaskets. Overall pegboard dimensions are 8’ X 8’. Overall rack dimensions are 8’-6” X 8’-6”. Insert the point into the eye of the cotter key and strike with hammer to remove. Used to access nuts underneath running boards. 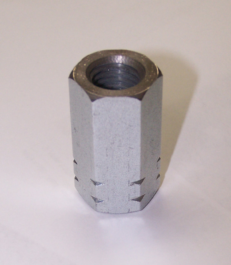 The clip-on magnet keeps the nut in place during installation and removal. 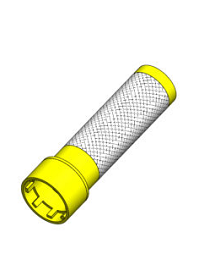 Used for removing or replacing the spanner nut on switch machines. 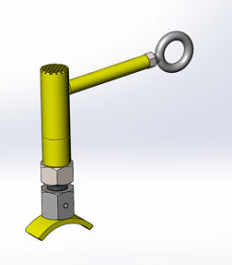 This new tool is used to clean the residue out of the locomotive flange lubricator tracks. 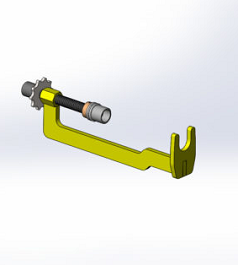 One end of the tool has a knife type blade to remove caked-on lubrication material. The other end of the tool has a hook type blade to scrape the loose lubrication material out of the track. 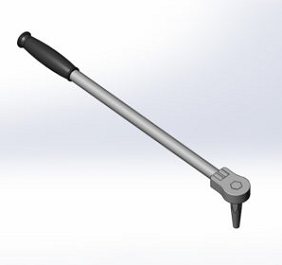 The handle is knurled on both ends to non-slip gripping surface while using the tool. 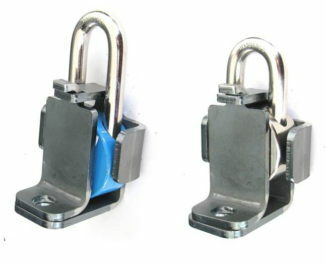 This padlock lockout device is used to provide extra measure of protection for Mechanical Department personnel working on line of road. 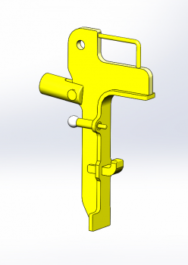 It is designed to fit over an applied switch lock to prevent access. 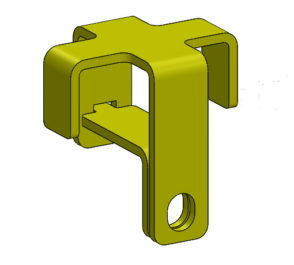 This will ensure that the switch lock cannot be removed if Mechanical personnel are still working on a protected track. 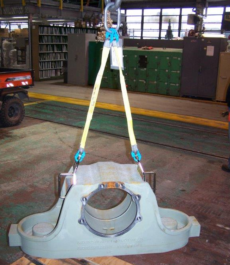 This fixture is for lifting and transporting journal boxes off of GE Locomotives. Used for removing a journal box from a locomotive. The Aluminum Portable Locomotive Step is designed to slip over the bottom step of any locomotive located over exposed or elevated rail. It reduces the distance the mechanic has to step to access the locomotive to a manageable twelve inches. Aggressive bar grating and abrasive matting provide a non-slip step surface. 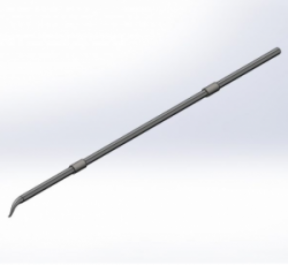 The aluminum alloy construction provides a high-strength device that weighs less than nine pounds. This tool is designed to compress the ACE Locomotive Starter Motor Valve to remove the circlip and perform seal replacement. It allows the valve to remain on the locomotive while repairs are completed. May be used with any 3/8” drive ratchet. 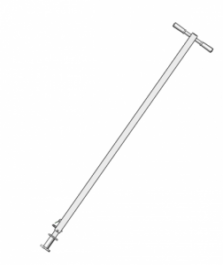 The push rod uses an acme type thread for faster operation. Used for lifting and transporting Graham White Series electric hand brakes. 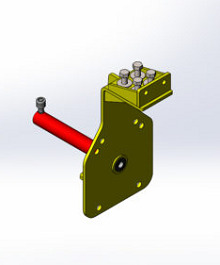 This lifter is designed to remove or install couplers using the large C-Frames normally used for locomotive component repair. 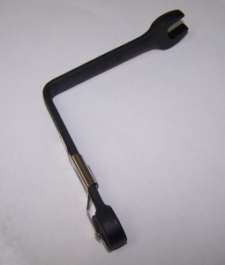 It is specifically designed to easily attach to the C-Frame without modification. 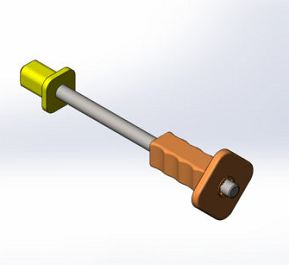 The fixture includes a pin locking assembly to keep the coupler in place on the fixture during handling. 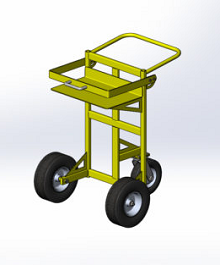 Use our new three-wheeled Heavy Duty Transport Cart to move Air Brake Valves, Coupler Knuckles, or other heavy repair components. The three wheel design eliminates the need to tip the cart back for transport. The wide, flat free tires allow the cart to be moved across shop floors without worry of being caught in the gap between the rail and the floor. 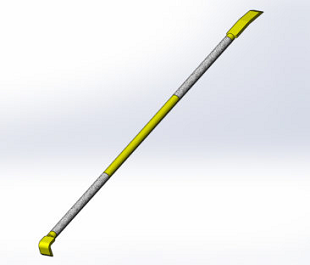 A drop-down bail is included to keep material in place during transport. 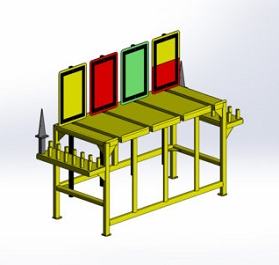 The step-in design allows the operator to get close to the cart shelf for material placement.